Ok, it's time for the next post in the My Fav Books series. Today we hear from Rinniez. I am a 20 year old university student who's trying to get the most out of 'the best years' of her life. Rinniez is an avenue to record the adventures, parties, thoughts and daily events that shape my progression to adulthood, though im not sure i'll ever really be ready to 'grow up'! My favourite place to read is at my parents home in the rocking chair, particularly on a day when the sun is shining through the window warming me as I read. If you're looking for this book, you'll find it in teen fiction/young adult. I read it when I was 18 and loved everything about it. 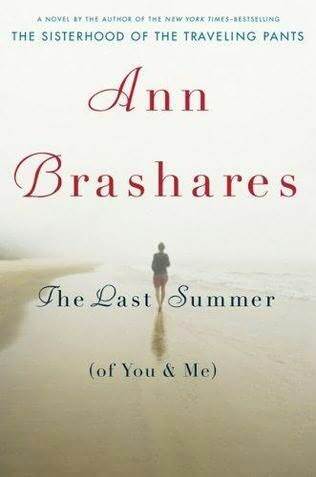 Ive been an Ann Brashares fan since I read the Sisterhood of the Travelling Pants series (if you've seen the movie, please understand that the books are a million times better!) and bought this book purely because she was the author. It is beautifully written and contains themes that sure did tug at the heart strings. Although it is written to appeal to a young-ish age group i hope that doesnt stop people from considering to read it, i think anyone with a sister can relate it to it on some level. This is a childrens/young teen fiction book. I have probably read this book close to 50 times - no joke! 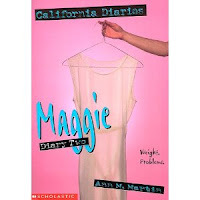 I first read it when I was about 8 or 9 and loved everything about it; the diary format, Maggie's rebellion against her parents, the song lyrics, the friend troubles, oh I could go on forever. I remember in Year 6 we had to do creative writing and I used to constantly write variations to the Maggie book, so much so my teacher had to ask me to stop writing in diary format. I wanted to be Maggie, more then anything! One of the first 'grown up' novels I ever read and I couldnt put it down. Once I was finished I made my mum read it too (though it took her much longer then it did me). Another one to tug at your heart strings, Marian sure knows how to make you fall for her characters. Anybody Out There? 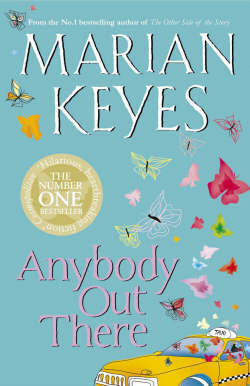 is also one of my fav's, such an interesting story, with a huge twist in the middle that will have you in tears. And your fav place to read sounds like heaven! Thanks for sharing! Don't forget to pop over to Rinniez blog and say hi!